STUNNING! NAV! HEATED AND COOLED SEATS! REMOTE START! 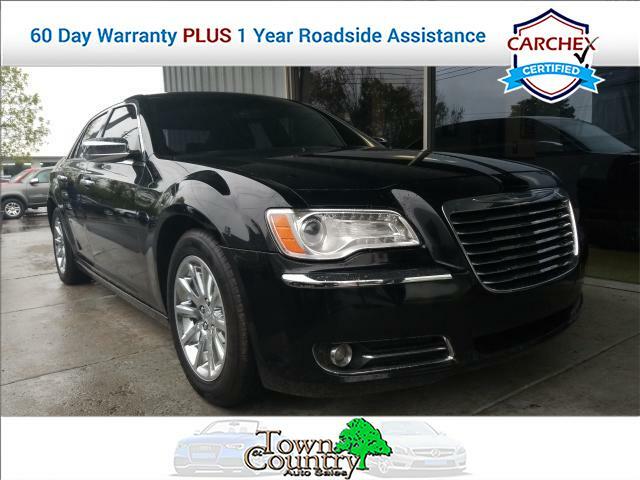 2014 Chrysler 300 C RWD with alloy wheels. Black exterior, with black leather interior. Options include auto lights, fog lights, cruise control. Steering wheel mounted controls. Key-less entry. Back-up camera. Heated and cooled cup holders. AUX & USB inputs. Power windows, locks, mirrors, and seats. This is a beautiful car that has passes all of its service inspections, and has been certified. So pick up the phone and set up your appointment for your test drive today. Come join our Family! 2 Mo. 2,000 mile warranty included With the Purchase of this Vehicle.